Herman Gresnigt has deceased on 14 October 2011 at the age of 78. We have lost a good colleague and warm person. Herman has devoted his entire life to the support of children with a visual impairment and their parents as well. He started working as a psychologist for children. Since 1977 he has worked in the field of education and rehabilitation of people with a visual impairment. 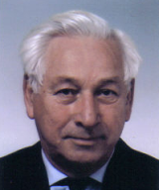 Herman has been director of the institute Theofaan, The Netherlands, and after his retirement he spent his time on international cooperative projects with colleague institutes in developing countries and as chairman of ICEVI-Europe. In the Netherlands he has made important contributions to the reorganisation of the education and rehabilitation of people with a visual impairment. He aimed for full participation of people with visual impairment into the society, the inclusive society. As chairman of ICEVI-Europe he was dedicated to the cooperation of mainly East European countries within ICEVI. I have worked with Herman for more than 42 years and I have always been touched by his clear vision on support and his great involvement in people, clients and co-workers. We will miss his knowledge, experience and involvement, but we are fortunate to have known Herman. Our thoughts are with Herman’s family.